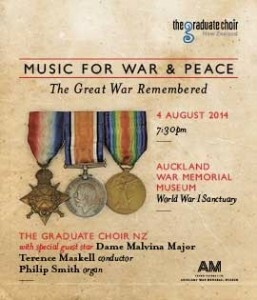 at 7.30pm on Monday 4 August – some members may have heard the Graduate Choir perform there on Anzac Day. There will be a number of remarkable pieces of music to commemorate the Great War, including hymns, excerpts from requiems and one specially commissioned piece, together with readings from war poetry. The Choir will be accompanied by organ and Dame Malvina Major is the Choir’s guest star. Tickets are available online through iTICKET or at the door if not sold out prior. 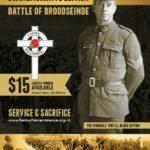 Seats are limited and will be in high demand during these centenary commemorations.